A dedicated core group always welcomes help from others. Nov. 19, 2017 1:48 p.m. 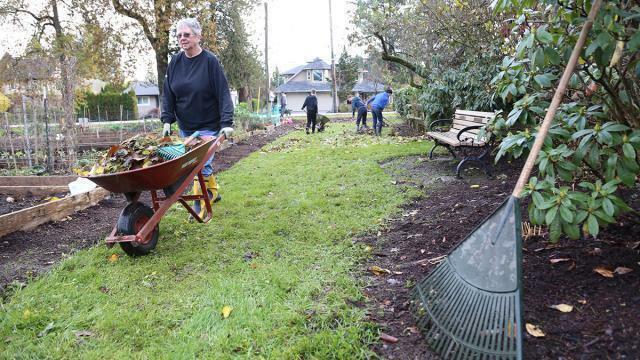 Volunteers from around the community converged on Gwynne Vaughan Park Saturday morning to get rid of leaves and other maintenance for the change in season. The Friends of the Park core group meets every Tuesday from April to October to do smaller cleans, but the larger spring and fall gatherings are important for the upkeep of the green space.